New releases featured this week on Folk Alley include music from Kelly Willis, The Fretless, Moira Smiley, Anna & Elizabeth, Birds of Chicago, Caitlin Canty, Cahalen Morrison's new project - Western Centuries; Kim Richey's new album, 'Edgeland', Dave Alvin & Jimmie Dale Gilmore advance single from their upcoming album, Vivian Leva, Alison Krauss & Union Station, Willie Nelson, Kacey Musgraves, Ana Egge, I'm With Her, Seth Lakeman (feat. Wildwood Kin); and much more! This week on Folk Alley, Elena See features new releases with music from Phoebe Hunt & The Gatherers, Courtney Marie Andrews, The Mammals, the supergroup of Cory Chisel, Robert Ellis, and Jonny Fritz AKA Traveller, Rosanne Cash, Dom Flemons, Western Centuries, Birds of Chicago, Moira Smiley,The Dustbowl Revival, and much more! 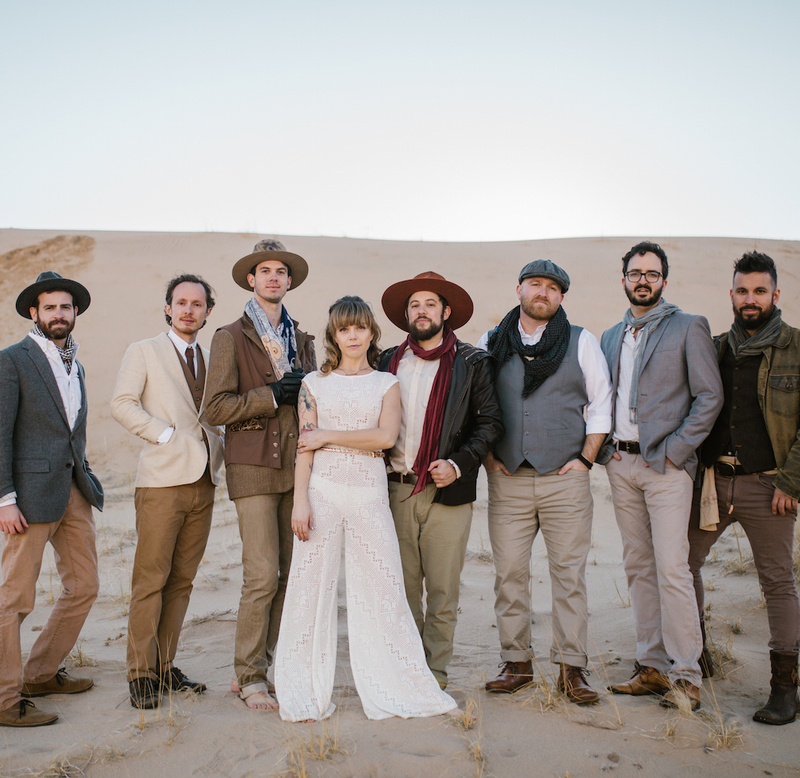 Song Premiere: The Dustbowl Revival, "I Decided"
You're feeling tired, maybe a little defeated and heavy. Seriously, who doesn't want a "reset button" in those situations. 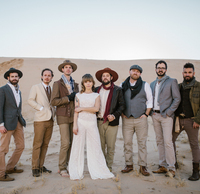 For The Dustbowl Revival's Zach Lupetin, a spontaneous swim in the Pacific Ocean was just the thing to help his renewal and to kick-start some inspiration. Inspiration that ultimately lead to writing a joyfully defiant anthem, "I Decided," which addresses the questions: "What if the very concept of 'growing up' and growing old was in our heads? Who made the rules?" 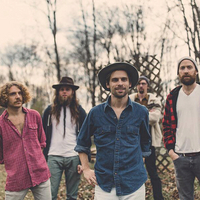 While the track didn't make it on to their last release, it was the start of opening the band's creative flood gates that lead to their 2017 self-titled album. As Lupetin puts it, "no matter how gloomy things look, if you can jump in the ocean, find a little love, and make music with your friends, isn't that enough?" "I Decided" is available - HERE. This week on Folk Alley, in hour one, an exclusive Folk Alley Session from the 2018 30A Songwriters Festival featuring Kim Richey performing songs from her new album, 'Edgeland'; new music from Birds of Chicago, The Mammals, and Joan Baez; a set from Emmylou Harris to celebrate her 71st birthday; plus favorites from Langhorne Slim, Amanda Anne Platt & The Honeycutters, John Fahey, Wilco, and many more. In hour two, more new music from Vivian Leva, Courtney Marie Andrews, Darlingside, and The Fretless from their new album, 'Live From The Art Farm'; we'll hear an exclusive live set featuring the Punch Brothers; plus more favorites from Kris Drever, Cara Dillon, Robby Hecht, River Whyless, and more. 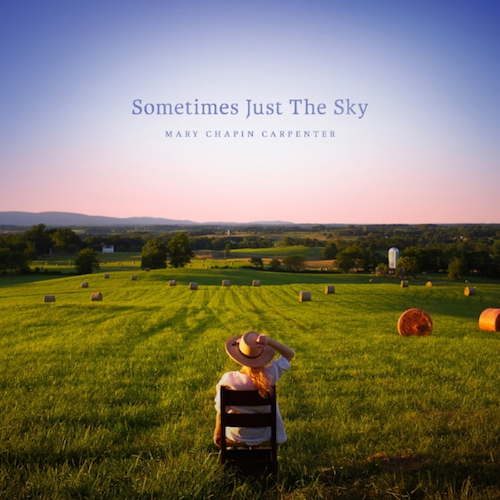 An artist like Mary Chapin Carpenter will perform their best songs probably hundreds of times in their life, but most fans will remember those songs for the one time they were recorded on an album. This is a strange, occasionally unfortunate thing for an artist to reckon with, who might get to know a song better after 20 years of performing it and come to realize, say, the rhythm and tempo of the recording buried some of the most powerful lines. Occasionally artists will go back and record an all-acoustic version of a song, revive it with horns or some other extravagancies. 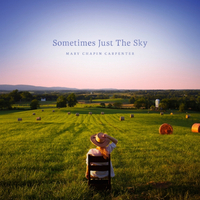 But on Carpenter's newest effort, 'Sometimes Just The Sky,' the artist reimagines the songs the same way a mother might gather her grown children for a party. It was fun having everyone together when they were kids, even more so now that they've seen the world and have their own ideas. As an artistic statement, the album is a feat. She chose one song from each of her twelve recordings, then capped it off with a brand-new original, the title track. Though this concept would seem akin to that of a greatest hits collection, Carpenter steers clear of her most definitive chart-toppers. For example, 1992's 'Come On Come On' featured radio hits "Passionate Kisses," "He Thinks He'll Keep Her" and "I Feel Lucky," but Carpenter chose the decidedly folkier "Rhythm of the Blues." This time, the song is in a different key and the distracting echoes from backup singers are thankfully gone. She sings it with more conviction, which makes the song's natural build feel less pop-contrived and more structurally necessary. Rather than her vocals following the lead of the instrumentation, this new arrangement follows her melodic instincts--something that is true of all these re-arranged classics. "I Have a Need for Solitude" is another standout moment, from 2010's 'The Age of Miracles.' Its arrangement veers less from the original, which is fine, since few melody-and-lyric partnerships are so evenly matched. For "What Does It Mean to Travel" from 2016's Dave Cobb-produced 'The Things That We Are Made Of,' she simply changed the key to slightly dim the lights on the song's mood and added a bit of cello for extra shade. Then there's the beautiful new song, "Sometimes Just The Sky," which wrestles with the passing of time, the inevitability of change, the question of how to proceed when nothing makes sense anymore. Make "lists of what you know," the songwriter suggests--an interesting statement here at the end of a collection of reimagined versions of old songs. So, one wonders, what can we gain from this particular list of what we know? "Sometimes everything at once," she sings, "But sometimes just the sky." 'Sometimes Just the Sky' will be released Friday, March 30, and is available for pre-order now. This week on Folk Alley, in hour one, an exclusive in-studio performance with Paul Thorn, recorded at this year's 30A Songwriters Festival; new music from Nathaniel Rateliff & The Night Sweats, Altan, Kim Richey, Vivian Leva, The Fretless, Caitlin Canty, and I'm With Her; plus favorites from The Weepies, Jeff Black, Dori Freeman, Mipso, Josh Ritter, and more. This week on Folk Alley, Elena See spotlights new music by folk icon, Joan Baez, from her latest release, 'Whistle Down the Wind;' and more new tunes from the Massachusetts-based indie-folk quintet Parsonsfield, Tommy Emmanuel, Kacey Musgraves, John Prine, Chris Smither, The Wood Brothers, Kieran Kane & Rayna Gellert, Darlingside, Nathaniel Rateliff & The Night Sweats, Mary Chapin Carpenter; and we'll hear a set from Vivian Leva's new debut, solo debut, 'Time Is Everything'; plus, more! 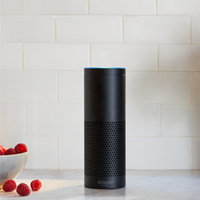 Using the Folk Alley Skill for Amazon Echo Smart Speakers is easy and allows you quick access to Folk Alley content. 1. Open your Alexa app and go to the menu. 2. Scroll down and click on Skills. 4. Enable the desired Skill. For the Primary Stream, say: "Alexa, play Folk Alley"
For Fresh Cuts, say: "Alexa, ask Folk Alley to play Fresh Cuts"
For the Irish Stream, say: "Alexa, ask Folk Alley to play the Irish Stream"
"Alexa, ask Folk Alley what's playing"
"Alexa, ask Folk Alley what's playing on Fresh Cuts"
"Alexa, ask Folk Alley what's playing on the Irish Stream"
Also, the Folk Alley Skill can be linked to your Folk Alley login to access the Member-only Pledge Free Stream and to check your Folk Alley Member Status. Folk Alley presents two screenings of the documentary THE KING at the 42nd Cleveland International Film Festival. Director Eugene Jarecki travels America in Elvis' 1963 Rolls Royce talking to people along the way about the parallels between Elvis' rise and fall and the post-war American experience. Folk Alley listeners can use the code "FOLK" for a $2 ticket discount for screenings on April 6 at 7:20 PM and April 7 at 2:10 PM. Both screenings will be at Tower City Cinemas. As a young man, Elvis Presley was the embodiment of the American dream. A poor boy from the country, he carved his own path and rose to unprecedented fame faster than anyone had before. More than 40 years after his death, Elvis is still known around the world as "The King." But even this perceived immortality could not prevent the tragedy that befell him. In fact, the very factors that led to his success would ultimately lead to his demise. And while Elvis lost his authenticity to fame and money, his country was losing its democracy to capitalism and greed, making Elvis the perfect metaphor for America. THE KING is an all-encompassing deep dive into the promises and failures of the United States and rise and fall of the biggest empire the world has ever known. Among the notable appearances in the film are Folk Alley artists Mary Gauthier, Emmylou Harris, Radney Foster, M. Ward and Linda Thompson. Regular ticket prices are $14 for CIFF members and $16 for non-members. By using the code "FOLK," Folk Alley members can receive a $2 discount on their CIFF tickets good for any Festival Film (unless otherwise specified). Members can purchase tickets online at www.clevelandfilm.org, at the Film Festival Box Office in the lobby of Tower City Cinemas, or by phone at 877-304-FILM (3456). I read something on Twitter the other day - and I can't remember who wrote it, so apologies if it was you. It went something like this: "Sometimes it's ok to acknowledge that you're tired. Sometimes it's ok to not fill every second with something. Sometimes it's ok to say, 'I need a break.'" In this world we live in, this world that's a constant push toward doing more, being more, and having more, this reminder to pause and to consider is something we all need from time to time. "'WE' is not about you and me or even 'us,' the band," the musicians say. Instead, "it's about finding our way in the world one day at a time, trying to live out each moment until the sun goes down." Taking life one day at a time - that's certainly something this group knows about. Founded in 2010, and formerly known as Poor Old Shine, they've undergone some sound changes as well as the name change. 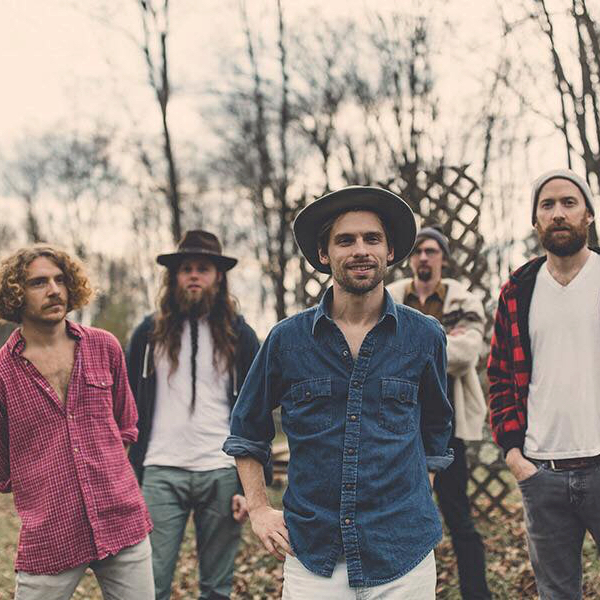 And yet, Parsonsfield just keeps on coming back, reinventing themselves a bit with each new album while maintaining a core belief in the power of voices and instruments (oh so many instruments!) raised together in song and in sound. Despite 'WE''s short length, the band touches on more than a few of life's major themes: depression, love, loss, fear, living life to the fullest - the list goes on. From the opening "Light of the City," which, for all that it's a rich, fully orchestrated song, is really a thoughtful contemplation on being utterly alone, to the closing "Kick Out the Windows" (my favorite), a song which raises a fist against complacency and ends on a question, 'WE' is about appreciating life in the moment, and about being content with what you've got, rather than constantly searching and moving and looking toward something new. 'WE' is out this Friday, March 9th on Signature Sounds Recordings, and is available for pre-order now via iTunes and Amazon.com. This week on Folk Alley, in honor of Women's History Month, it's an encore broadcast of a show first heard in August 2017 featuring songs by artists who made NPR Music's 'Turning The Tables: The 150 Greatest Albums Made By Women' list. We spotlight our favorite folk, roots, and Americana artists who made the cut, including: The Roches, Iris DeMent, Dixie Chicks, Alison Krauss & Union Station, Cassandra Wilson, Bonnie Raitt, Nina Simone, Buffy Sainte-Marie, Gillian Welch, Mavis Staples, Joan Baez, Bobbie Gentry, and much more. 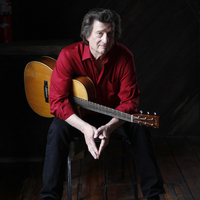 Chris Smither's 18th album in his 50 plus year career finds him embracing his roots from Boston's rich music scene through his collaboration with some of its finest players. That includes his longtime producer, David "Goody" Goodrich, Matt Lorenz (the amazing one man band, aka The Suitcase Junket) and Billy Conway (Morphine). For 'Call Me Lucky,' Smither has worked up a two disc collection which features one disc of mainly originals and a couple covers; and a second disc of reworked/rearranged songs from disc one, plus a "surprise" cover. Not only has Chris been known to be a favorite go-to songwriter for people like Bonnie Raitt, The Dixie Chicks, Diana Krall, John Mayall and others, he's also known far and wide for his astute song interpretations. Oftentimes, it'll be halfway through the song before the familiarity of the tune will hit. This time around is no different with Smither's covers becoming something completely of their own, especially his take on Chuck Berry's "Maybelline." Recorded at Goody's Blue Rock Studio just outside Austin in the Texas Hill Country, it's clear the atmosphere was relaxed. Every player on the album wore different hats during the making of, with the drummer playing the guitar and the engineer jumping on keys. With 'Call Me Lucky' being his first new material in six years, it's clear he used that time to rest and reflect for this project. The highlight of the album, "The Blame's on Me," find Chris' delivery, from vocals to guitar, as if he were urgently conveying his message, but in the most laid back manner. It's truly a special talent of his that continues to make an impression. In total, Smither's performance is energized and right at home, sounding like an inspired musician with still much left to do and say. 'Call Me Lucky' will be released this Friday, March 2, on Signature Sounds Recordings and is available for pre-order now via iTunes, Amazon.com, or Bandcamp. This week on Folk Alley in hour one, new music from Cry, Cry, Cry, The Mammals, and Brandi Carlile; an exclusive in-studio session recording from the 30A Songwriters Festival featuring Emily Saliers, performing songs from her 2017 solo album, 'Murmuration Nation'; we'll hear the 2017 Juno Award winners for the Traditional Roots Album of the Year, The East Pointers; plus favorites from the Avett Brothers, Natalie Merchant, Richard Thompson, Patty Griffin, and more. 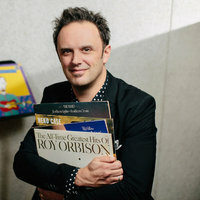 In hour two, new music from David Myles, I'm With Her (Sara Watkins, Sarah Jarosz, & Aoife O'Donovan), and David Robert King; we'll hear from this year's Folk Alliance International Award winners including Molly Tuttle, Ordinary Elephant, and Rhiannon Giddens; a set from the great Paul Simon who has announced his farewell tour; and more favorites from Lyle Lovett, Shawn Colvin, The Duhks, Tom Waits, and more. This week on Folk Alley, in hour one: new music by Rod Picott and I'm With Her (Sara Watkins, Sarah Jarosz and Aoife O'Donovan); our exclusive in-studio performance from the 2018 30A Songwriters Festival featuring David Robert King, performing songs from his new album, 'Idaho'; we'll find gold with First Aid Kit, and John Prine; plus favorites from Anthony D'Amato, Dori Freeman, Joan Shelley, and many others. In hour two: more new music from Anna & Elizabeth and Brandi Carlile; we'll blast off to space (like Elon Musk) with songs from The Byrds and My Morning Jacket; and there's a little rambling from Eilen Jewell, Jackstraw, and Kieran Kane & Kevin Welch. Plus, we remember lyricist John Barlow who passed away on February 7th. Song Premiere: The Mammals, "Make It True"
The Mammals' brand new single "Make It True" bursts with harmonies, harmonica, and jangling guitars with hints of the Byrds, Fleet Foxes, and something distinctly "Mammalian." It's the opening track on the band's re-emergent album 'Sunshiner' which comes out on April 20th via Humble Abode Music. There's a palpable hope on this track, written by banjo/guitar wordsmith Mike Merenda. It's sung as a duet with fiddler/vocalist Ruth Ungar and features the driving energy of Konrad Meissner on drums, Jacob Silver on bass, Ken Maiuri on 12-string and the soaring pedal steel of Charlie Rose. As the chorus says, "We some days sing the blues, some days sing those harmonies too, yeah we do, and we'll one day sing those words that will make it true." 'Sunshiner' is available for PRE-ORDER HERE. This week on Folk Alley, an hour all about LOVE with songs from Joni Mitchell, Townes Van Zandt, Sera Cahoone, Josh Ritter, Caroline Spence; an exclusive in-studio session with Halifax, Nova Scotia's David Myles performing songs from his new album, 'Real Love,'; plus some legendary duets featuring John Prine & Alison Krauss, Johnny & June Carter Cash, Willie Nelson & Rosanne Cash; and more tunes for the heart from Iris Dement and Jesse Winchester. In hour two, we'll dig into the "other side" of love... with broken heart, lonely, missing you songs from David Francey, Tom Russell, Sam Outlaw, Greg Brown, The Avett Brothers, Leon Redbone, Darrell Scott, Lucinda Williams, Dori Freeman, and more! Song Premiere: Cry Cry Cry, "Cathedrals"
Sometimes you just know when it's time to go home. And for Richard Shindell, Dar Williams, and Lucy Kaplansky, aka Cry Cry Cry, home is where their three voices live together, rising in a perfectly comfortable, warm, and intimate blend. Case in point: the trio's brand-new cover of Jump Little Children's emotion-filled 90s hit, "Cathedrals." With Dar Williams taking lead vocals, Cry Cry Cry creates a melancholy atmosphere of questioning, wandering, and longing, turning the occasionally overly earnest "Cathedrals" into a pensive contemplation on what the concept of "home" really means. It's something these three musicians, no longer at the very beginning of their careers, are perhaps starting to consider. Cry Cry Cry made folk music history when they first started experimenting with their voices together in 1998. After an eponymous debut and a single tour in 1999, they didn't exactly disband but each member focused on his or her solo career. They'd reunite every once and awhile (mostly privately), bask in the magic of their harmonies, and then trundle off on their separate paths. Last summer, that all changed. "We were called back into existence by Clearwater [The Clearwater Music Festival in Croton-on-Hudson, New York]," Richard Shindell says. "They floated the idea of a reunion and we thought, 'if not now, then when?'" That reunion show has led to a whole string of tour dates planned for this spring - check out the list below. Perhaps even more exciting than a tour, though, is the fact that they're recording together for the first time in nearly 20 years. "I feel so lucky to get to be a part of this again," Lucy Kaplansky says. Dar Williams agrees: "When you have a musical bond, it's like siblings. You are always returning to that unspoken language and understanding. I love Richard's and Lucy's voices more than ever." "New music to come in 2018," according to the trio's management. Whether that means a full album, a newly recorded single released every now and again, or something else entirely is still to-be-determined. But, based on the sneak peek Shindell, Williams, and Kaplansky offer with "Cathedrals," it's going to be well worth the wait. Cry Cry Cry: On Tour! "You write what you know," Rod Picott says. Simple advice and advice every writer has heard before. But for all its simplicity, it's actually true, and something Picott proves admirably on his new double album, 'Out Past the Wires.' Anyone who chooses to listen (and my advice: choose to listen) gets a peek into something Picott knows really, really well: human nature. Now nearly into his second decade of songwriting, 'Out Past the Wires' offers Picott a chance to spread his storytelling wings a little bit: he has also written an accompanying book of short fiction to go along with the collection. Each short story is titled after a song on the album, an exercise that's allowed this creative musician and writer to take the characters he creates with his acoustic guitar and gravelly voice and develop them into fully-fleshed out examples of the people we all know and love. "Primer Gray" is a good example. With images of cars up on blocks, rust and chrome, lacquer and flames, Picott creates a character you've met before: your dad or your grandfather, your brother or son or best friend's uncle. Whomever it is, he's a hardworking man who's trying his best to make a life for himself and his family, a hardworking man who has come to the conclusion, maybe after years of fighting with it, that in our material, greedy world, usually, the important stuff's on the inside: "I'm only worried about what's underneath," Picott sings. "What she looks like don't mean a thing to me." 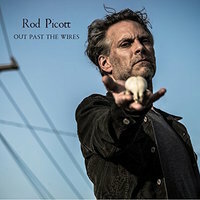 'Out Past the Wires' comes out on March 30th, and is available for pre-order at iTunes and Amazon.com - album and paperback. Upcoming US & Europe tour dates. So I been getting the old Pontiac ready for my kid lately. That's a good ride, a Pontiac. Been trying to find the original color even, but the code they give me don't look right. So I'm just gonna shoot a coat of primer for now. If I find that great old Pontiac green someday, I'll paint it up. My kid? All his friends have those rodded-up Hondas. They sound like damn chainsaws. Drives me crazy. They're fast, yeah, but they got no power, you know? I mean real power. Now that old LeMans has got eight big pistons just banging away under that hood. That's what a car oughta sound like right there. So anyways, like I said, I been gettin' the Pontiac all fixed up for Charles. Continue reading "Premiere: Rod Picott, "Primer Gray" from 'Out Past the Wires'"
Juno Award winning, David Myles just released his latest album, 'Real Love' on January 26th, and, in honor of Valentine's Day, he has donated 10 copies of the CD to Folk Alley to giveaway! 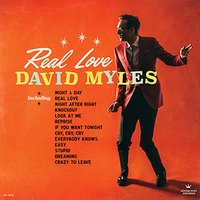 Drawing from American roots music, 'Real Love' mixes full-bodied arrangements and dance rhythms with classic rock 'n' roll structures. Myles says, "it's a record I've always wanted to make...a danceable, fun record that harkens back to the early days of rock 'n roll." The 13-track collection is Myles' tenth album and his second full-length U.S. release. 'Real Love' is a departure from his previous record in that it is fully electric. It features members of his touring trio--Kyle Cunjak on bass and Allan Jeffries on guitar--plus Joshua Van Tassel on drums and additional vocals by Mahalia and Reeny Smith. if you haven't already, sign up for the the Folk Alley AlleyChat e-newsletter, by registering HERE. One entry per person please! This week on Folk Alley, Elena See shares an exclusive in-studio session from the 2018 30A Songwriters Festival featuring Mary Gauthier performing songs from her new album 'Rifles & Rosary Beads'; new music from Mark Erelli, Steep Canyon Rangers, and Caitlin Canty; and we'll hear from a few of this year's Grammy winners including Best Folk, Bluegrass, and Americana albums; plus a sneak peak at Mary Chapin Carpenter's upcoming release, 'Sometimes Just The Sky;' and much more! 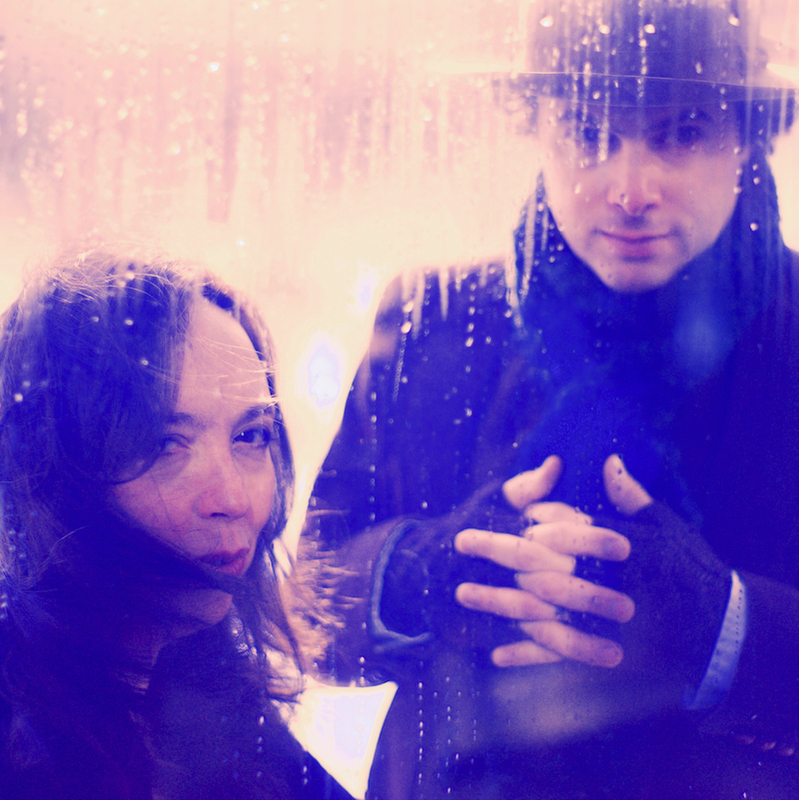 In hour two, there's more new music from Heather Maloney and David Myles; and we'll dig into the Sessions archives with our 2015 in-studio performance by Mandolin Orange; some favorites from Traffic, Nitty Gritty Dirt Band, Greg Brown, Neko Case, KD Lang, Laura Veirs, and much more. 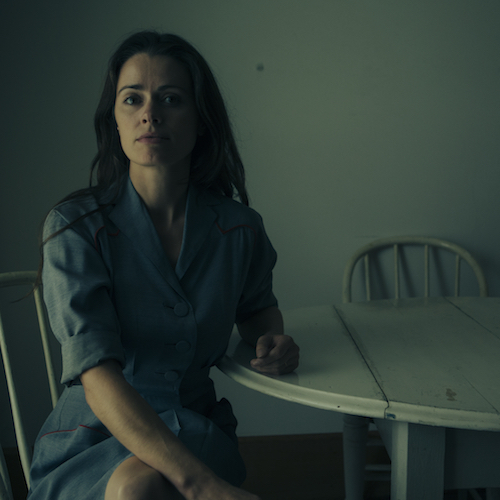 Song Premiere: Caitlin Canty, "Motel"
If you're able to focus on anything other than Caitlin Canty's quiet and compelling voice (hard, I know, but try), it'll be impossible NOT to notice just how much Russ Pahl's pedal steel adds to "Motel." In fact, once you notice Pahl on "Motel," you start to notice all the other musicians on the new album, 'Motel Bouquet.' Each takes a turn working to add balance and depth to Canty's already thoughtful lyrics and phrasing (helped along at times by Aoife O'Donovan on harmony vocals). Stuart Duncan picks up the fiddle every now and again, Paul Kowert's on bass; it's Jerry Roe on drums and percussion, and producer Noam Pikelny on electric guitar and banjo. A talented ensemble cast, to say the least, and one that showed up to provide support to a musician who takes great advantage of what's being offered to her. "Releasing this record feels like a sigh after a long haul," Canty says. And that makes a lot of sense, especially when you know it's something she worked on while she was on the move - not only touring around the country in the wake of 2015's 'Reckless Skyline,' but also while she packed up her car and moved from her native Vermont to her new home: Nashville, Tennessee. The end result of the move? An album to be proud of: "I couldn't be happier with this record - the way it sounds, and the way it went down," Canty says. "Making music with this band made me fall in love with making records again." That sense of falling in love and feeling content and peaceful is especially obvious in "Motel." It is, Canty notes, "about as direct and sunny as my songs get. I woke up in California feeling truly rested and happy for the first time in a long time." And it IS a happy song, albeit a quiet one. Of course, without being able to dive into Canty's head and explore her personal inspirations, you can't know exactly what it's all about. But, with lines like "It was love that broke my sorrow/Like the day breaks all night," you can guess that "Motel" just might be about a new love. More than that, it seems to hint toward a love - and a sense of contentment - that's a whole lot stronger than anything that has come before. 'Motel Bouquet' will be released on March 30 via Tone Tree Music and is available for pre-order now - HERE. New England singer-songwriter, Mark Erelli joins Cindy Howes for a special guest DJ hour on Folk Alley. Erelli has just released his latest album 'Mixtape,' a collection of covers that he has performed at his annual 'Under The Covers' live show at Club Passim in Boston. The covers night celebrated its 14th annual concert on December 15, 2017. Mark discusses his new album with Cindy, and plays DJ for the hour selecting music ranging from Lizz Wright and Tom Petty to Kris Delmhorst, Amanda Anne Platt & the Honeycutters, and more! This week on Folk Alley, Elena See shares new music from Caitlin Canty, Mark Erelli, and David Myles; plus 2'fer from the 'American Folk' motion picture soundtrack; and a set from Old Crow Medicine Show including a new song from their upcoming release, 'Volunteer' due out this spring. In hour two, more new music by Tracy Grammer, Chris Smither, Steep Canyon Rangers, Robert Ellis & Courtney Hartman, The Wailin' Jennys, and a set from John Gorka's latest, 'True In Time.' All this and much more! 'American Folk' is a film about two musicians who take an unexpected cross-country road trip in the wake of September 11th. They meet on a flight to New York that, after takeoff, is forced to return to Los Angeles when planes across the country are grounded for three days after 9/11. Desperate to make it to New York, the pair obtains a 1972 Chevy Caravan and embarks on their journey where they encounter many different characters all reeling after the terrorist attacks. 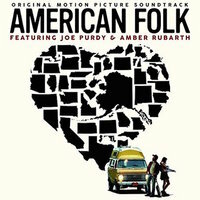 Actual singer-songwriters Joe Purdy and Amber Rubarth star in the film and perform 14 of the 16 songs on its soundtrack. The tribute to the American folk music tradition seen through the eyes of two songwriters driving across a vulnerable nation is a heartwarming premise. Standouts on the soundtrack are the tender moments between Purdy and Rubarth on their original material. Each wrote two songs for the film with the highlight being Purdy's "This Old Guitar" (long version), which evokes the emotion and fragility that make him a great songwriter. Rubarth has an impressive ability to channel the American folk tradition, which also flows freely on her own songs such as her original, "Townes." In the end, you are left with wanting to hear more original tunes featuring Purdy and Rubarth collaborations. 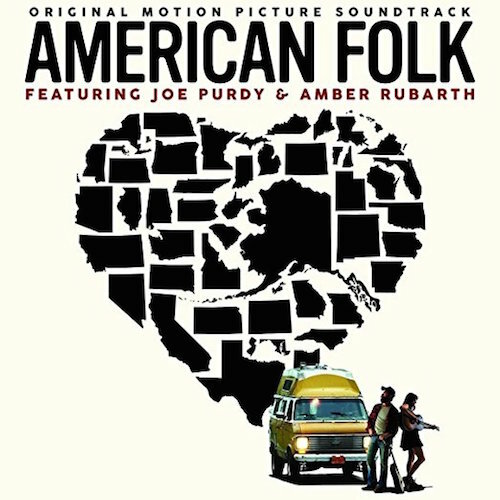 'American Folk' soundtrack is out on January 26th via American Folk Records and is available for pre-order now at iTunes and Amazon.com. LISTEN to the entire soundtrack HERE. Each week, host Elena See collects the best in contemporary and traditional folk, Americana and roots music from the latest releases, classics, exclusive Folk Alley in-studio and live concert recordings. Two new hours each week. John Gorka is a towering figure in folk music thanks to his longevity, powerful baritone, collaborative spirit, and remarkable songwriting. 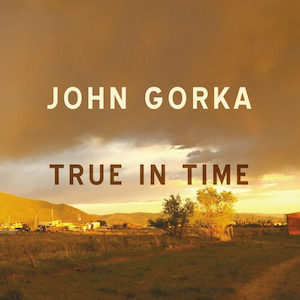 Gorka has been on the scene since the early 1980's, where he cut his teeth in the Fast Folk circles (among others) in New York, playing in coffeehouse alongside folks like Suzanne Vega, Shawn Colvin and Nanci Griffith. That deep and steady voice he hones brilliantly is like the Bing Crosby of singer-songwriters. And the feeling of assuredness and comfort in that voice is one that few others evoke. 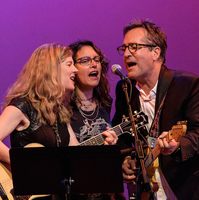 John's musical partnerships span decades and include friends like Eliza Gilkyson, Pete Kennedy (The Kennedys) and Lucy Kaplansky. If you follow the trail of his writing, you'll find deep and meaningful songs from one of the genre's most quietly thoughtful troubadours. All of this is apparent on his latest record, 'True In Time.' Produced in Minneapolis with some of the best session players in the city, the album was recorded live, which is apparent in the organic flow and groove. The overall earnest approach is genuine, which is the only thing John Gorka could ever be. In all honesty, Gorka is something of a father figure: kind, supportive, stable, and has that special something that only an adorable dad can pull off: dad humor. Lines like "The cool people had a meeting and decided I was not one of them," kinda make you wanna groan and roll your eyes in jest. Gorka is a silly guy; if you've ever met him or seen him in concert you've experienced his sense of humor that occasionally gets into his songwriting. Sometimes it's charming and sometimes it's.... not. However, once you start getting under the hood, you'll discover the profound meaning and extraordinary origins of (most of) the songs. 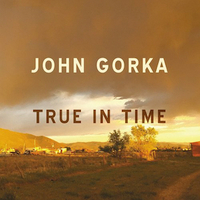 On 'True In Time,' the best example of Gorka's cuteness aligning with his exceptional songwriting is the song "The Ballad of Iris & Pearl," where he creates fictional hero folk singers who flew under radar for the whole of their career. He re-writes music history claiming the two women taught Elvis and Dylan everything they know. The best part is when you find out the song was inspired by Eliza Gilkyson's two dogs (named Iris and Pearl) at her songwriting retreat in Taos, NM. On the flipside of that silliness is the root of the title track, a co-write with Pete Kennedy. A Facebook post John shared of Paul Simon's "Mother and Child Reunion" after the death of Carrie Fisher and her mother Debbie Reynolds caused Kennedy to respond, "Maybe all songs come true in time." Peter later suggested this sounded like a song, which led to co-writing long distance. Not sure if it was intentional to make the song sound like it came from The Great American Songbook, but it wouldn't be out of place if Fisher and Reynolds ever had the chance to sing it on stage together. John's guitar playing has always been the ultimate, the classic, and the very definition of the folk singer-songwriter. Hearing it ring out alongside the crack session musicians on 'True In Time' only makes it more true and steadfast. Gorka is at his best when he's keeping it sincere and contemplative. Also, guest appearances by Jonatha Brooke, Eliza Gilkyson, and Lucy Kaplansky just add to the high quality of this music. At the end of the day, Gorka's soulful voice, songwriting, and guitar work are what we're here for, and they are given center stage on this solid record. If you've ever walked along an ocean's shore at low tide, you'll see things you don't normally see. Low tide is when the sea is at its lowest level. And so all sorts of the ocean's secrets - the animals, the shells, the plant life you never normally get to see - are exposed. There are no secrets at low tide. 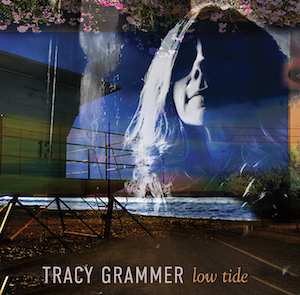 And that's why 'Low Tide' is such an appropriate title for Tracy Grammer's new album. There are no secrets here. With this album, her 11th but her first of all (almost all) original songs, Grammer lays bare her very soul. "These are very personal songs," she says. "Songs about family, loss, hope, and relationships." Tracy Grammer has been making music since 1997 and is best known for her collaboration with the late Dave Carter. When he died in 2002, she continued to perform, but most often sang Carter's songs, rather than her own material. "I made it my mission to get people to sing along," she says. Her mission changed a few years ago when she participated in a songwriter project and she's eager, she says, to get her own music in front of audiences (who, it should be noted, have LONG been demanding it). Grammer sings about mistakes. About passion. About failures. And about wishes and dreams that were never - and will never be - fulfilled. As you listen to certain songs ("Hole," "Daffodil Days," a cover of Kate Bush's "Cloudbusting"), you'll be hard pressed NOT to think about Dave Carter and about their relationship, which was both professional and personal. However, in the midst of this intense pain and self-recrimination, there's also a sense that Grammer is finally able to let go of some her sorrow. Her voice on "Free," for example, is peaceful and light. As she sings about learning to let go, about the wonder that comes when "all the worry, all the running away is done," you know: this is the voice of a songwriter who has made her peace with the past and who is ready - and more than willing - to move forward. 'Low Tide' will be released on January 19th, and is available for pre-order directly at Tracy's Bandcamp page, iTunes, and Amazon.com.